To be a Madison teacher is to exist within a set of irresolvable tensions. Some of them are comic: when the copy machine breaks down four minutes before students arrive at your classroom, do you rush to meet them, or stay to unjam your papers? When concerned about your own health, do you commit to regular hydration and snacks or choose to remain on a tight diet to accommodate your bathroom schedule? Others are a matter of significant concern: how do you build a relationship with a student who doesn’t want to be present in order to achieve outcomes you are accountable for? How do you set aside regular time to assess your staff’s understanding of race to ensure they are meeting the needs of all students? What is the biggest challenge facing Madison schools? 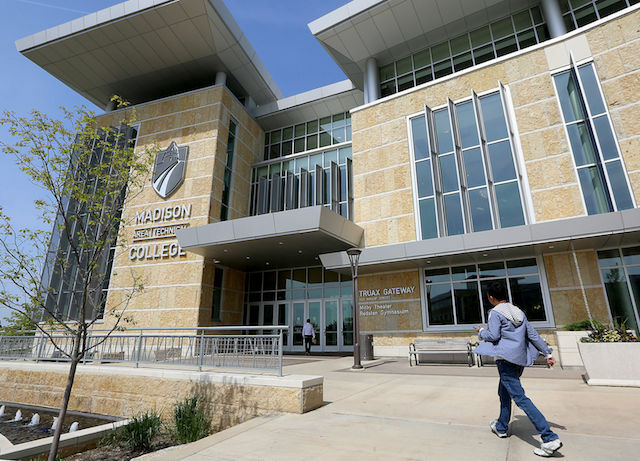 Members of the ad-hoc committee tasked with evaluating the contract between the Madison Police Department and the Madison Metropolitan School District found a complex situation for which there was no obvious solution, according to committee members interviewed by Madison Commons. Nonetheless, the committee produced a list of recommended changes to the Educational Resource Officer contract that seek to address the problems of police presence in schools as comprehensively as possible, barring termination of the contract. Although some committee members believed that terminating the contract with Madison police should be the district’s long-term goal, the committee did not recommend doing so immediately in its final report to the Board of Education last December. “I was surprised how much [EROs] were built into the infrastructure of school functioning, and how much they were perceived [by staff] to be essential. And for me that raised concerns about a complete and abrupt removal,” said Abra Vigna, one of nine community members on the committee, which also included three MMSD school board members. The debate continues over the renewal of a contract between Madison Metropolitan School District and the Madison Police Department, which places police in schools. Proponents tend to argue that placing police in schools, known as Educational Resources Officers, make schools safer and allow officers to develop relationships with students, while opponents emphasize disproportionate negative outcomes of police presence on black and brown students. A recent Madison Commons article explored the debate in detail. 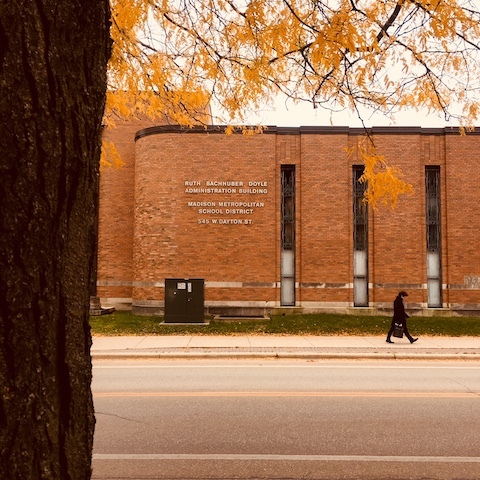 Last week, Madison’s Police Chief Mike Koval wrote a blog post that challenged the validity of the “school-to-prison pipeline,” a concept which is often invoked by those concerned about the impact of police presence in schools on minority students. Koval’s blog post listed statistical data which supported his perspective. Do Police Officers Belong in Madison High Schools? In December 2016, the MMSD School Board established an ERO Ad Hoc Committee. The committee was tasked to review the existing contract with Madison Police Department. New procedures for public comments at Madison Metropolitan School District board meetings were used last month following criticism from community members who allege their voices were disrespected and silenced in the past. In previous meetings, School Board President Mary Burke has announced the names of the participants as they approached the podium followed by the name of the person next in line to speak. Burke, according to complaints, has had trouble pronouncing names of participants in previous meetings. A seemingly annoying or frustrating occurrence for some, represents a long history of disrespect and discrimination for others. To avoid future insults, whether intentional or not, last month the board changed the way speakers are introduced during public comments. College students really are getting younger. This year, 26 students from East High School and La Follette High School spend their days taking classes at Madison Area Technical College’s Truax Campus. They are the first cohort of MMSD’s Early STEM Academy Program. 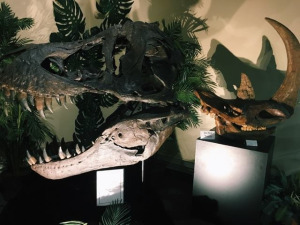 By the time they graduate high school in May of 2020, they will have not only earned their high school diploma, they will also have earned an Associate’s Degree in a Science, Technology, Engineering or Mathematics (STEM) field. The STEM Academy is the result of an agreement between MMSD and MATC to create a dual enrollment program for high school students. Hernandez is a stark contrast to the stereotype of the authoritarian school leader, but he represents a change in Madison’s schools. Dane County’s miniature library-on-wheels is on the move. 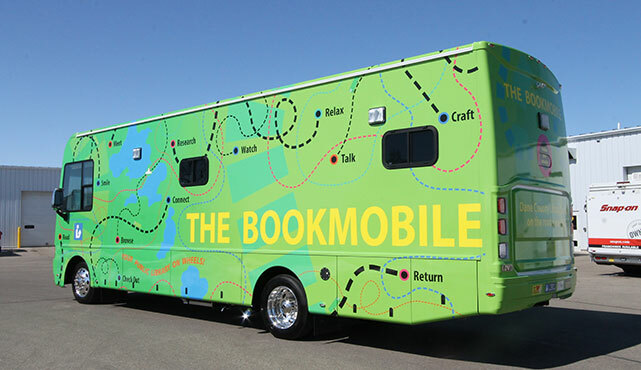 Starting on November 2, the Bookmobile will make weekly stops in Maple Bluff. Local residents will find the Dane County Library Service’s mobile library on Oxford Place adjacent to the fire department on Friday’s from 10:30 a.m. to 11:30 a.m.
“Typically what the Bookmobile does is serve the communities in Dane County that don’t have a municipal library of their own,” said Tracey Herold, the director of Dane County Library Service. When the Bookmobile launched in 1966, it served areas like McFarland and Fitchburg, which lacked their own public libraries at the time. The Bookmobile currently serves 16 different municipalities where public libraries don’t exist, or it doesn’t make sense to establish a library, which incurs continual expenses.